Am so happy, am willing to give you, the full details and guidelines on how to commence your noun admission. 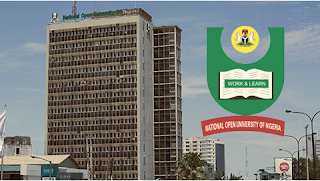 Am so happy to inform and notify members of the general public, especially persons around Africa, West Africa, who wishes to study in the National Open University of Nigeria (NOUN) that the National Open University of Nigeria Authorities have officially announced the beginning of her Admission Application for NOUN for the 2015/2016 Academic session. All interesting persons should take note that the processing of getting an admission into the National Open University of Nigeria is very simple. Doctor of Philosophy (Ph.D) Programmes N10, 000.00 (ten thousand naira only). When you have selected and opt in to commence your noun registration, please proceed and obtain your NOUN Teller, which specially designed for NOUN candidates, who are seeking for admission into the school, and this NOUN teller is for the purpose of payment. When you've done this, proceed to the NOUN official portal and click on application form. When the portal loads up, please ensure you follow the guidelines, and you can commence your registration, by using your Application pin number to access your NOUN online application form. It is very importance for all candidates to take note that the school authorities required from every single applying students that they must complete the application by providing the required information. Please be informed that after you must have complete the application form with the correct details, please all can reopen their application form as many times as the applications likes,before submitting. Please take note that after you must have completed all the above steps, you may submit your form by clicking the submit button at the bottom of the displayed screen. Please note that you are required to print out your provisional admission letter. All applicants are advised to insist on paying the stipulated cost only and obtain official receipt at the point of payment.